The full name of this sketch is 'Yuka finds Kouta &amp; Nyuu at Home', if you've watched Elfen Lied - you'll know the episode. Embarassing. Good easy to draw view of Yuka at least. She has some great comedic expressions throughout the series; when I'm better I'll have a go at drawing some of them. 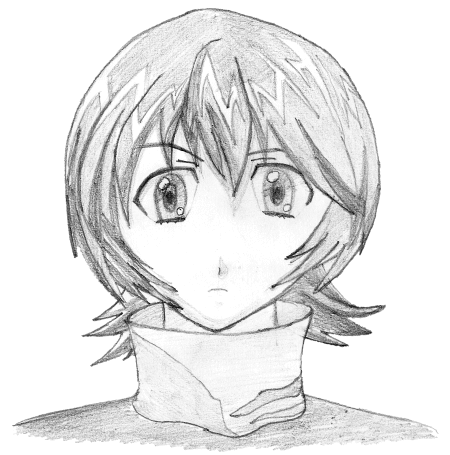 This sketch was done along the same lines as Mayu, traced from an anime still for practice. Working on larger sheets of paper really helps. Maybe I should have used a bit more room for this one. Later on the train I managed to reproduce this quite well from memory. Practice makes perfect; or at least gets you closer to perfection.